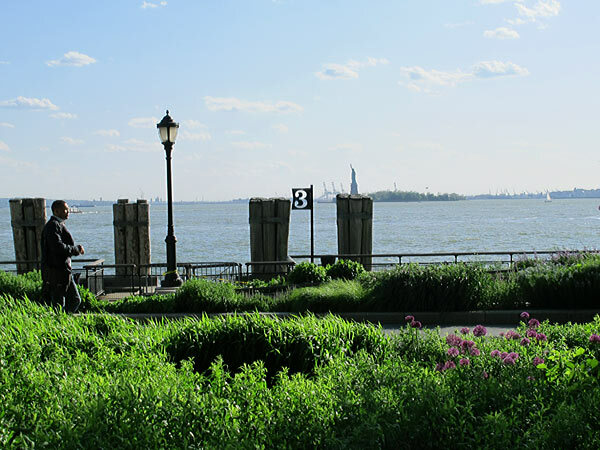 Located at the southern tip of Manhattan, the 23-acre park takes its name from the “battery” of cannons erected at the strategic juncture of the Hudson and East rivers in the late 1600s. 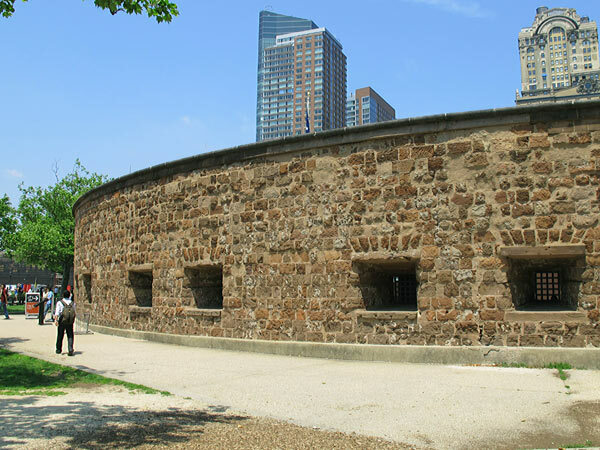 Throughout the 1800s, landfill pushed the shoreline seaward and protected Battery Park as an open space. By 1839 Castle Clinton was encompassed by fill and renamed Castle Garden, becoming a popular performance venue. In 1871 Ignatz Pilat drafted a landscape plan for the fortress’s parklands which featured concentric, tree-lined ovals at the center, lawn panels defined by paths laid in a rose-petal pattern, and a promenade on the bulkhead. 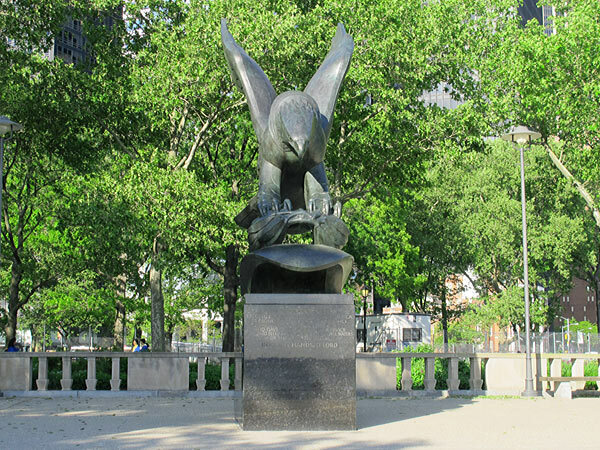 From 1896 to 1941 Battery Park was home to the New York Aquarium, maintained by the Department of Parks. 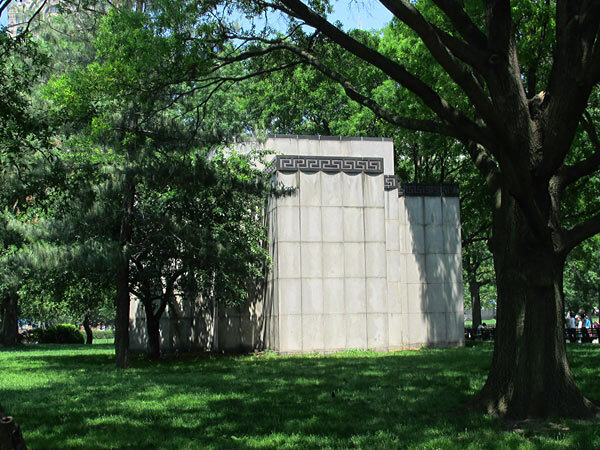 In 1941 landscape architect Gilmore Clarke created a landscape plan that featured both formal and Picturesque elements and zoned the park into three areas: a kidney-shaped, tree-lined lawn and playground in the east; a mall with a raised circular plaza in the west; and a shoreline promenade shaded by rectilinear bosques, lined with benches, and adorned with seasonal planting beds. Clarke’s plan was realized after Battery Park was closed to allow construction of the Brooklyn-Battery Tunnel and the Battery Park Underpass it reopened in 1952. 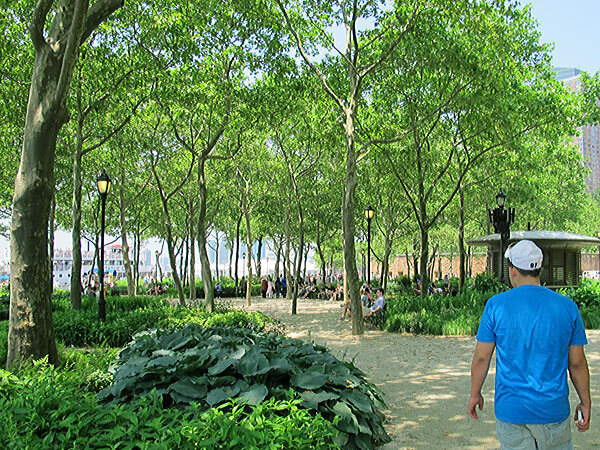 Landscape architect Philip Winslow collaborated with the planning team of Ehrenkrantz and Eckstut in the mid-1980s to create a master plan for the revitalization of the Battery. 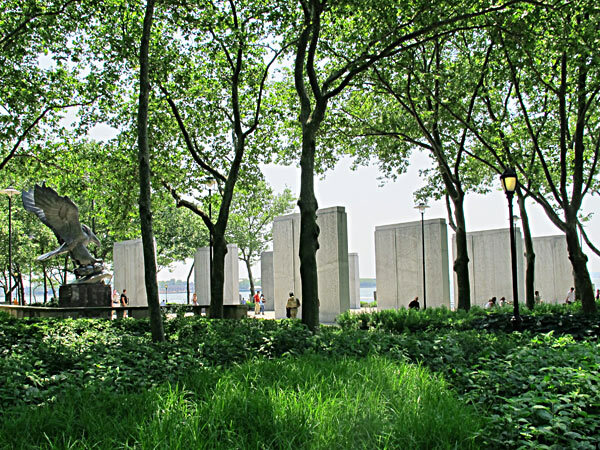 Since 1994, the Battery Park Conservancy has overseen renovation and maintenance of the existing grounds. Preserved and restored to its historic name, Castle Clinton was designated a National Monument in 1946 and is managed by the National Park Service.